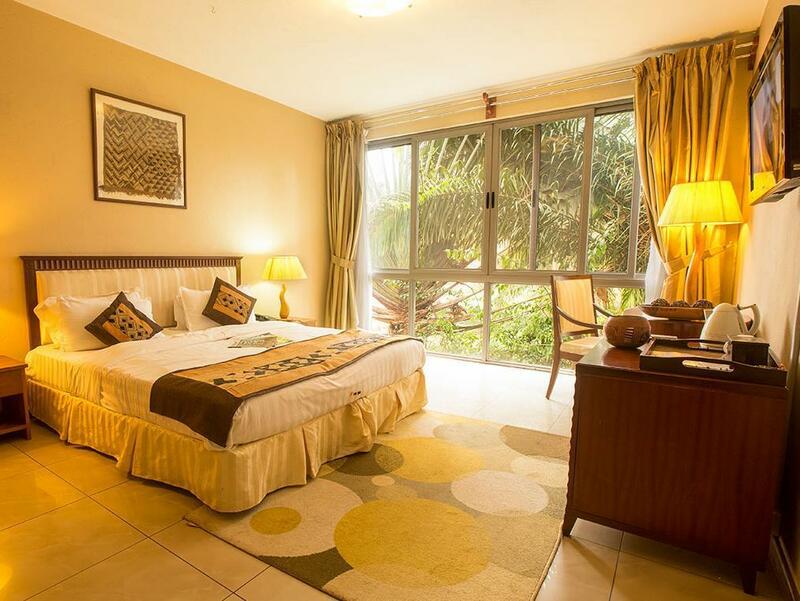 ﻿ Humura Resorts Kampala. JIMAT di Agoda.com! Ada soalan mengenai Humura Resorts? Jika apa yang anda cari adalah hotel dengan lokasi menyenangkan di Kampala, cuma perlu lihat Humura Resorts. Hotel ini tidak terlalu jauh dari pusat bandar: hanya sejauh 2 Km, dan kebiasaanya mengambil masa kira-kira 60 minit untuk sampai di lapangan terbang. Hotel moden ini berada di sekitar kawasan tarikan bandar yang popular seperti Muzium Uganda, Pusat Hidupan Liar Uganda, Lapangan Terbang Kampala. Humura Resorts juga menawarkan banyak kemudahan untuk memperkayakan penginapan anda di Kampala. Kemudahan utama hotel termasuklah Wi-Fi percuma semua bilik, pengawal keselamatan 24 jam, pengemasan harian, meja depan 24 jam, simpanan bagasi. Semua bilik tetamu menawarkan pelbagai jenis tahap keselesaan. Banyak bilik turut menyediakan televisyen skrin rata, internet wayarles, penyaman udara, meja, bar mini untuk memuaskan hati tetamu. Kemudahan rekreasi hotel, yang termasuk seperti pusat kecergasan, padang golf (dalam jarak 3 km) , kolam renang terbuka, taman direka untuk anda melarikan diri dari masalah dan bersantai. Kemudahan yang hebat dan lokasi yang sangat baik membuatkan Humura Resorts menjadi asas yang sempurna untuk menikmati penginapan anda di Kampala. We stayed for 4 nights, mostly working but went out twice for dinner all arranged by Humura Manager and front desk. The staff are amazingly friendly, Raymond is available virtually throughout, ready to do ANYTHING to assist, with his big smile! We were in the city, yet it felt like we were out in the country! We shall go back, this time for holiday. Thank you Raymond, Doreen, Phionah, Diana, Olivia, Rosie, Rhoda, the drivers and everyone else at this Boutique Hotel. Cheers..we love it! Staff were very flexible when I wanted to change rooms and very helpful throughout my stay. There is music everywhere all day. Lower level hallway is a bit dank and lower room I was in did not have internet reception. However upper rooms are very light and good in every way except that the music is on all the time. Overall, I had a very pleasant stay. The room was clean and spacious, the AC worked very well. The bathroom had a good shower, nice, bright lighting, and a hair dryer. The staff was very pleasant and the pool was nice, if small. The only downside to this place was the restaurant; I was not impressed with the food. For people staying only a few days, it might be fine, but the offerings (which weren't all available all the time, either) got old quickly when staying a week or more. The room was very nice with a nice decor, but was really let down by the bathroom which had rusty fixtures and very rusty water. The breakfast is also pretty uninspired...very mediocre. The pool has no shade and is not very appealing. The gym is a small room right next to the reception. Neither are worth mentioning as real amenities. Overall overpriced. I liked the outdoor seating area of the restaurant and used it to meet for work with colleagues. The location is very convenient but it looks like some new hotels will soon give this one a run for the money. First of all, if you are thinking about going to Uganda for a vacation stop thinking about it and DO IT! I have been to over 40 countries and I can honestly say nothing can beat Uganda. The people, the nature, the adventures even the food was all fantastic. Second, the Humura Resorts are a great place to stay. Kampala, while a great city is very busy, crowded and noisy. The Humura Resorts are none of these things. It is a very relaxed place with a great setting. The staff are helpful, the rooms are clean and the rooms are also a great value. Do yourself a favor and stay at this place! The rooms were large and affordable. The breakfast buffet had a nice variety and the kitchen staff was very attentive. We are foreigners living abroad and are occasionally looking for a nice, affordable place to relax. We were greeted by a professional front desk. However, when we were taken to our room we noticed the toilet was dirty and there was urine on the toilet seat. When the housekeeper came he argued that the toilet had been clean but some one must have used it. His way of cleaning it was to wipe it with tissue ONLY. We had to go to the front desk to ask for some sort of cleaner. After living in Africa for 4 years we were not so concern about a hard mattress, but the previous reviews are correct in saying that the beds are uncomfortable. I had a lovely stay. 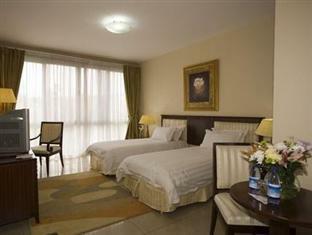 The staff were very attentive and friendly and the rooms were very comfortable and large. The design was elegant and the hotel is set in a nice peaceful garden. It is a small hotel with a guest house feel. While being close to the centre of Kampala it felt peaceful. Great hotel, super friendly staff, nice grounds good place to rest after long flight from Asia. Okay as a place to stay, facilities in restaurant don't compete with what else is available nearby. Menu and food quality / variety a bit disappointing. Again some food items not available. Please stop serving the passion fruit juice at breakfast. Try something like pineapple, sweet rather than so bitter. Or even orange juice. Average, food etc disappointing once again as was general attitude, willingness and performance in preparations around dining area. Some easily obtainable items reduced items available from what appears on menu. Very nice rooms; Very quiet, beautiful garden ambience. The hotel was very nice. Standard of rooms (ie flooring, furniture, bedding, etc) was of very high standard. Hotel had the appearance and standard of excellence in design and layout. Though right off a main thoroughfare, you could not hear and traffic noise. It was very quiet and relaxing. Staff were responsive to requests.